We are an engineering firm and professionally design, engineer, manufacture, install and support premium, purpose-built wastewater solutions for municipal and industrial clients worldwide. The engineering genius of our space-saving SPIRAC shaftless screw conveying technology sets us apart, creating unique efficiencies for your project. 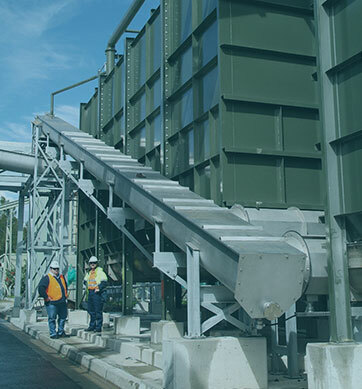 In addition to the SPIRAC shaftless screw conveying technology, SPIRAC also designs and supplies screening, dewatering, compacting, storing and transport products for wastewater handling. Our expertise spans all industries and solutions applicable to wastewater. We love challenging assignments and we take pleasure in helping our clients to build sustainable solutions for the future. Products and systems are constantly being developed or enhanced to accommodate the increasing environmental responsibilities faced by the owners and operators of wastewater facilities, manufacturing and processing plants. SPIRAC commenced operation in 1966 in Sweden, pioneering shaftless spiral conveyor technology for the European wastewater industry. The company headquarters were relocated to Australia in the 1990s. The company grew rapidly into the 80s and 90s through product line and technology growth, regional and global market expansion. SPIRAC operates in The Americas, Asia, the Middle East and Europe. SPIRAC maintains sales and manufacturing facilities in Australia, UK, USA, the Netherlands and Sweden.